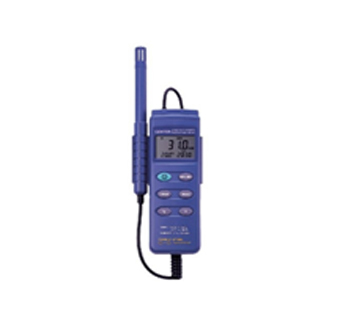 This easy to use digital thermometer is suitable for the lab, workshop or in the field. The thermometer features great versatility with a large operating parameters, simple functions such as display hold, peak value and T1-T2 temperature differentials. Unit is supplied with 9V battery and silicone protective pouch. 305P Single K-type thermocouple input. 307P Double K-Type thermocouple input. Measurement range: -50℃ to 1300℃ (-58℉ to 2000℉). Resolution: 1℃ (1℉), 0.1℃ (0.1℉). ±(0.3% rdg+1℃) -50℃ to 1000℃. ±(0.5% rdg+1℃) 1000℃ to 1300℃. ±(0.3% rdg+2℉) -58℉ to 2000℉. Read Rate: 2.5 time per second. Input Connector: Standard miniature thermocouple connectors (flat blade 7.9mm). If the options available do not suit your required needs, please contact us via email with the details of the product you require. A professional and easy to use infrared thermometer suitable for all purposes be it professional, trade or domestic environments. Simple functions with an easy to read LED display, this thermometer has a built in Type ‘K’ thermocouple reader as well as a circular laser to indicate your target area size. Supplied with 2 AAA battery. Emissivity: Adjustable 0.10 to 0.95, w/0.95 default. 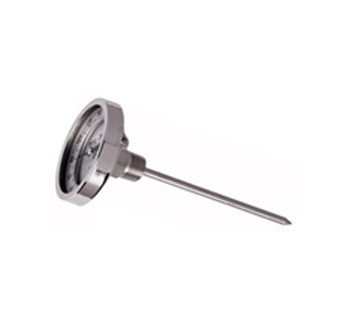 Infrared measurement range: -60℃ to 500℃ (-76℉ to 932℉) TN410LC. Infrared measurement range: -60℃ to 1000℃ (-76℉ to 1832℉) TN425LCE. Accuracy: ±2% of reading or 2°C. 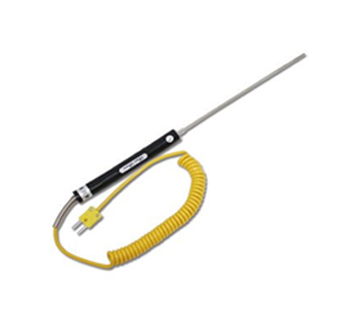 Accepts Type – K thermocouple. Measurement range: -64℃ to 1400℃ (-83℉ to 1999℉). Accuracy: ±1% of reading or 1°C. Product is designed for the measurement of surface temperatures, suitable for such rolls as cast mouldings, flat glass vessels, aluminium manufacturing, bearing and other solid surface temperatures. Measurement range: Sated per probe. Bi-Metal thermometers work on the differential expansion of two differing materials, they produce an accurate and fast measurement. A large and easy to read dial display, robust construction and multiple rear thread connections suitable for all industries. Wide range of temperature readings. Multiple stem length options and variations. Thermometers are able to calibrated. 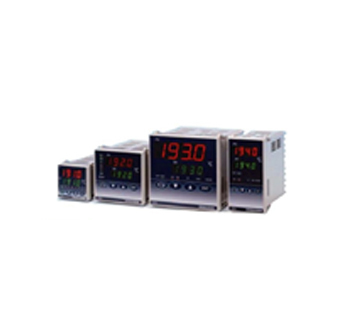 A temperature controller accurately monitors and displays an input temperature reading from either a thermocouple or RTD sensor, this is then monitored to meet a pre-defined temperature set point or maximum value via an output to a control element. The unit will alarm if parameters are not met. Compact instrument depths offer greater installation area. Dust and splash proof front panel equivalent to IP66. Wide range if optional functions. 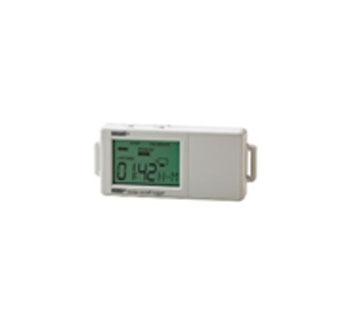 The data logger is designed for a wide range of environments, capable in both commercial and private uses, the unit offers a diverse range of monitoring capabilities. Excellent data recording capabilities enable the user to view accurate and reliable statistical information and analyse temperature plots from an external temperature input sensor. Accepts Type E,J,K,T,R,S,B or N thermocouples. Small and compact design, easy to install in all locations. Burst and statistic logging functions. Easy to read display with high/low warning alarms. Internal thermistor for comparison against ambient temperatures. Easy to use software, with data plots and statistic print outs. 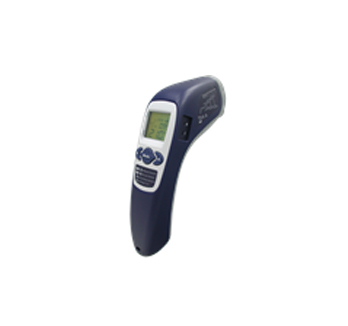 Relative humidity meter encompasses quality RH meters with temperature readings, with easy to use PC software for data logging and data analysis capable of 16,000 readings, with a RS232 output. Max/Min, Hold, Timer and Auto off functions. CE-310 optional PC software required for logging function. 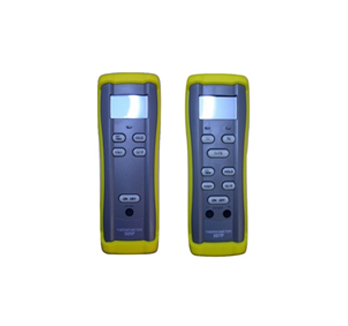 CE-314 includes Type ‘K’ thermocouple input.